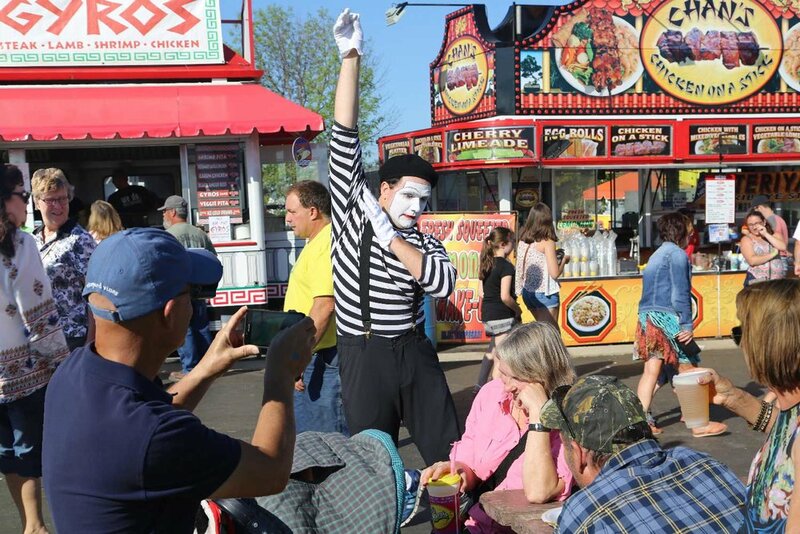 Hire a mime artist for your french entertainment! We offer a team of physical theater performers trained in Marcel theatre, under several revered physical theater performers including Todd Farley, Marilyn Clark Farley, Corrine Soum, Steven Wasson, and the legendary Marcel Marceau himself. They are captivating to watch as they weave humor and into their interactions and employ mime illusions like the ball, rope, wall, and many many more in new ways you've never seen before. We also offer dramatic and comedic vignettes and shows that reflect on the beauty and struggle of humanity ranging in time from 3 - 45mins. Great for a Night in Paris or Pink Poodle Party. You will not need mime performance ideas, as we come equipped with quality entertainment on and off the stage. Our pantomimes are amusing, tastefully polite, and take great photos. Mime artists also play off each other and invite bystanders to come join in the fun. -They are not clowns though quite humorous. Pantomimes like clowns are also physical theater performers, who are skilled in baboonery in addition to drama. 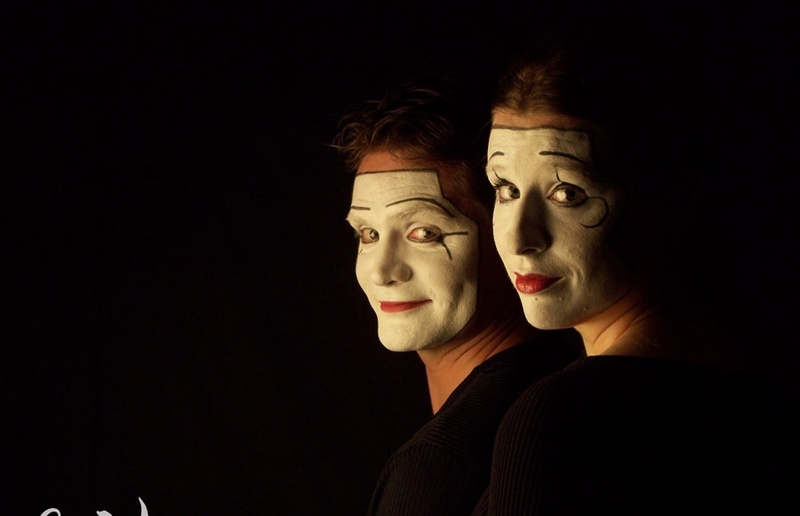 -Why mime artists paint their faces white is not to scare people. It's to help people in the audience see a character's emotion they are bringing to life even when the audience member is far away. -Acting without words is called mime. -Who is Marcel Marceau? (not marso marso) He was a famous movement actor who popularized mime by bringing it to the stage as theatre for the people. He used the craft to tell stories people could understand and relate to. -Pantomime is just another name for mime. Who better to impersonate the famous Marceau than someone who trained with him? 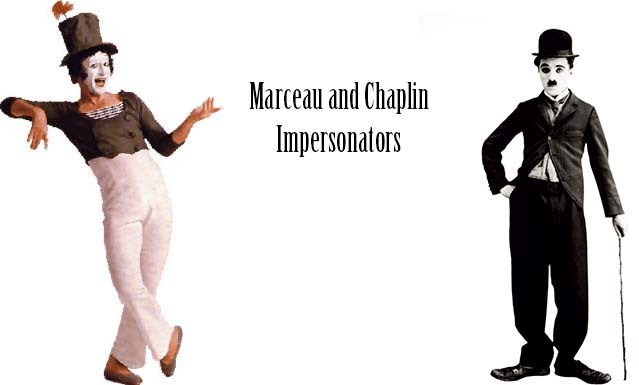 Offering Charlie Chaplin look a likes and Marcea Marceau impersonators. Don't want someone looking famous at your party? 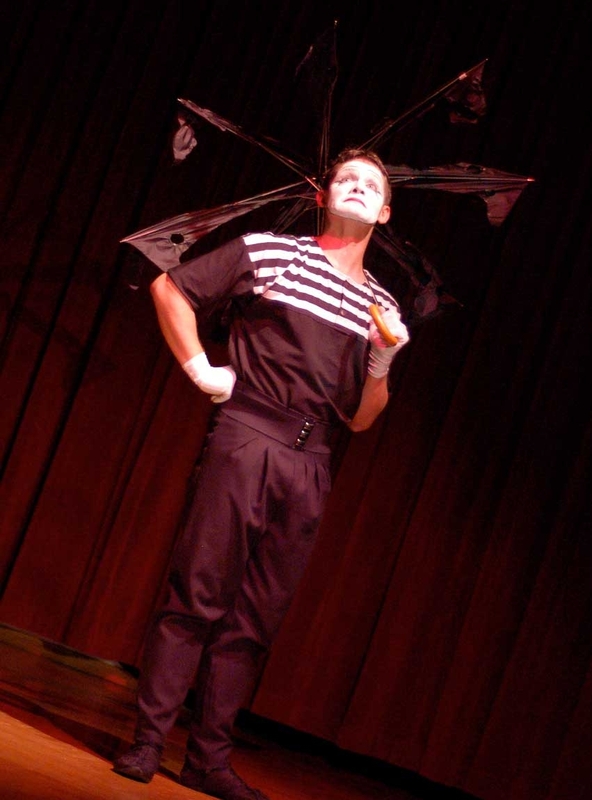 We offer a traditional french entertainment mime looks with white face, stripes, and beret as well as other cirque performer styles found in experimental theatre.